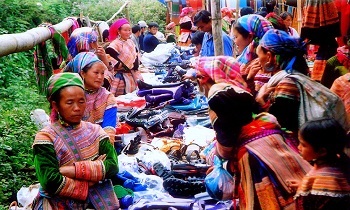 In the special fair of highland people at the border, there is a unique fair - that is the bird market in Muong Khuong district (Lao Cai). 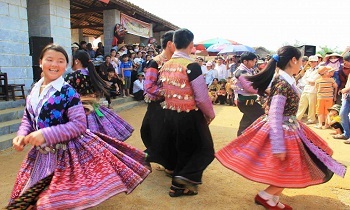 Not only is the place to buy and sell, Muong Khuong bird market is also a place where lovers of precious birds meet, chat and exchange experiences to raise this lovely bird. 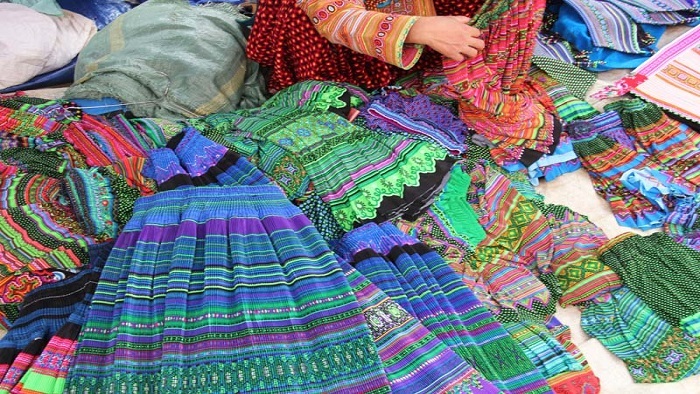 Normally, people go to Muong Khuong market in early morning after dressing up carefully. 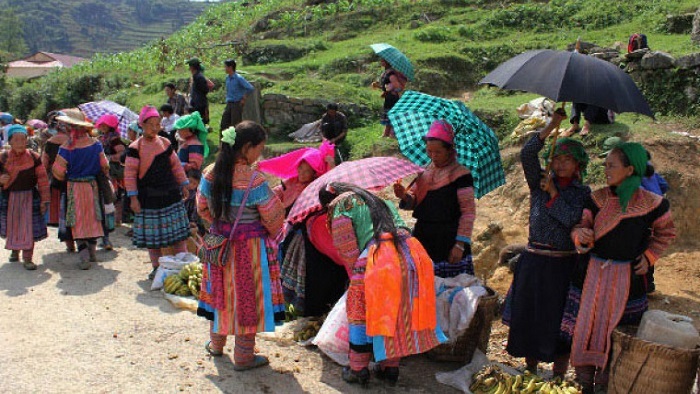 Joining Sapa tours with homestay, coming to the market, tourists will be impressed immediately by a vivid picture of colorful traditional clothes because there are many ethnic groups gathering here. 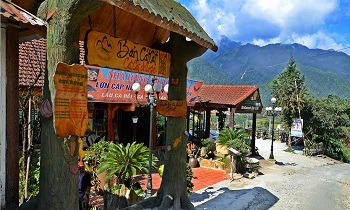 Besides, the market is also attractive by small simple restaurants, attractive smell of Thang Co- a special food of ethnic people, colorful gifts and fresh fruits, etc. 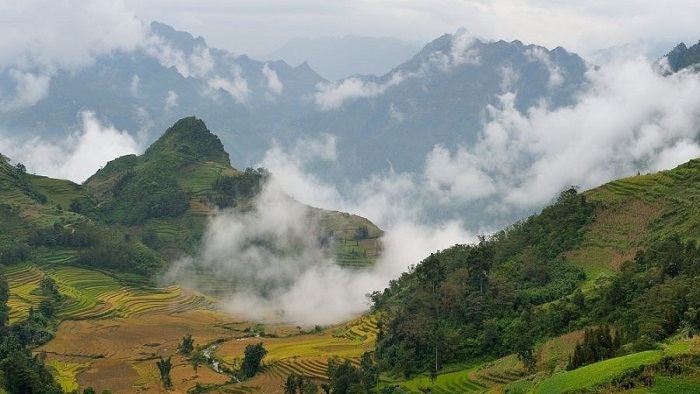 Not only a place for trading, Muong Khuong market reflects everyday living in mountain region. 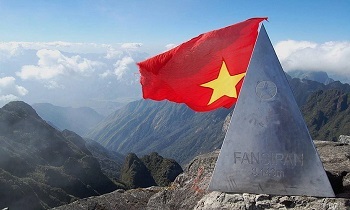 All activities, relations, and cultures are showed clearly. After trading, people here talk, laugh or make friends; hence most people here knew each other already. 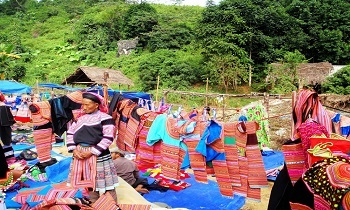 They usually gather together as many groups, sit down in some small restaurants and talk about their own stories such as their children, their business, their husband or wife, etc. 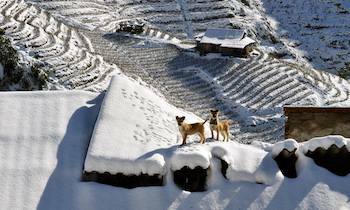 All creates bustling atmosphere among imposing nature. 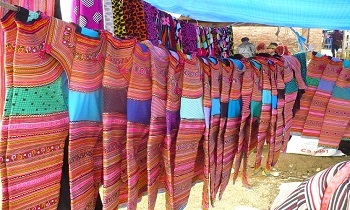 At a corner of Muong Khuong market, people gather here to sell and buy various birds but the main kind is nightingale. You will easily catch the sight of group of people spend a lot of time for watching birds, listening to its twitters passionately. Especially, most families in Muong Khuong have at least a bird cage hanging in front of their house. 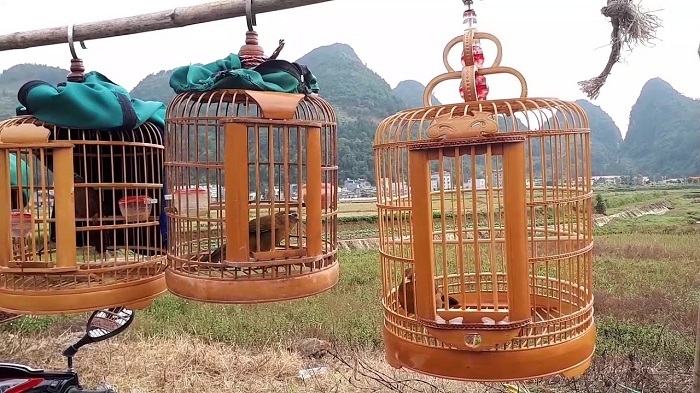 Therefore, you can see many ethnic men carrying their bird- cage to the market in order to show off. Do not forget to buy some hand-made gifts for your family/ friends. 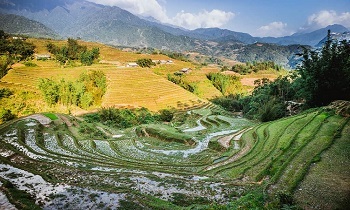 Muong Khuong bird market is a unique market in the north of Vietnam where visitors can come to see the beautiful birds and explore the culture of local people. 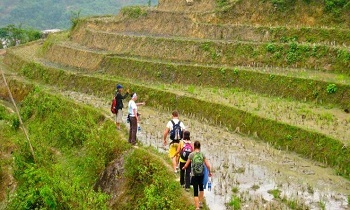 If you need further information about Sapa tour homestay, feel free to contact us. Thank you!